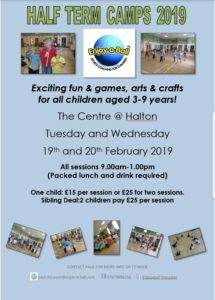 At half term Paul Derwent is running Enjoy a Ball holiday clubs on Tuesday 19th, and Wednesday 20th February from 9.00am – 1.00pm. Great fun for children aged 3 to 9. Sibling deals available.